Get the perfect total-body workout with the Wavemaster® SuperX Combo. The freestanding bag with water-filled base integrates training targets with an instructional DVD making it simple to customize a workout that firms muscles,increases strength, and boosts cardio to new levels. 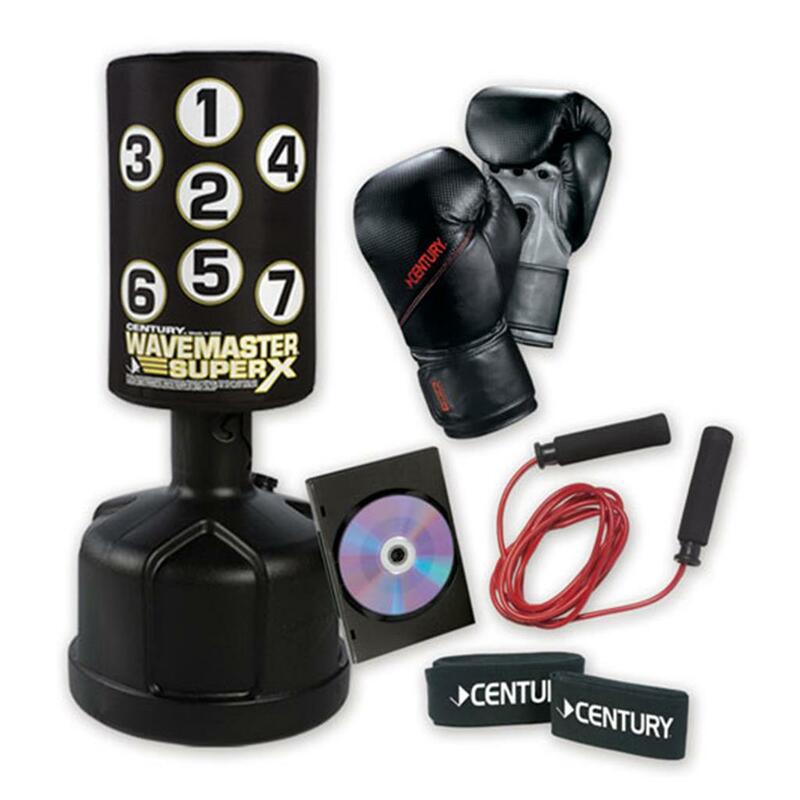 The combo includes everything you need: the Wavemaster® Super X freestanding training bag, gloves, hand wraps, and a speed rope.